Lighter, stronger and more cost effective-what more are you looking for in a reusable protective case or container solution. Today’s advanced metal forming technology allows ultra fast and affordable manufacturing of fully welded aluminum cases. From ultra high-end retail to critical military field applications, a fully-welded aluminum case is built to perform under extreme conditions. Not just once, but over and over. A fully-welded aluminum protective case from API is reusable, reparable, highly customizable and at the end of service completely recyclable. Welded aluminum protective cases are very lightweight and offer real advantages over traditional plastic cases. API’s sustainable aluminum cases are unaffected by extreme heat or cold conditions and regularly perform between -238°F to +302°F. Aluminum cases require no molds or special tooling, saving time and money. Aluminum cases are very strong and resistant to impacts. Impacts may show on the exterior but the energy from the impact is absorbed within the distortion and not transferred to the contents. With other cases, when an impact occurs the case will often flex or deform transferring the energy directly to the contents. The case exterior returns to its original shape leaving the contents damaged unbeknownst to all until the case with the damaged contents is in the field. 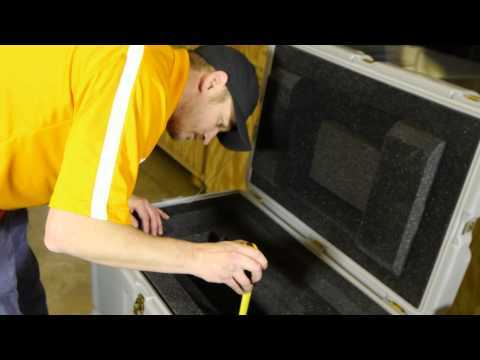 Learn more about the advantages of aluminum protective cases and containers. Welded aluminum protective cases can be manufactured to any size and/or weight carry capacity. Aluminum is an excellent choice for large, complex industrial or military containers.